Free baby shower invitation kit with-free thank you tags. 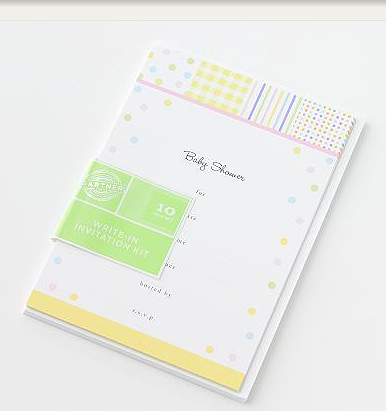 We’ll tell you where to find kits with envelopes, labels, postage stamps, liners and more.It’s more affordable than you might think, to send baby shower invitations that are, too cute to be forgotten! PaperSource.com and CardsandPockets.com have everything you need to make a totally unique collection of baby cards. Print a free baby shower invitation with matching gift tags and baby clips. Get free invitation down loads in PINK or BLUE! Make labels or other accessories with our matching images. They’re simple, but cute! And you can get them now . You can even make your own right on your computer with free software from PicMonkey.com (powered by Google). You can make the invitations extra special with designs that are exclusive to one, or to just a few merchants. Yep, they’re still an affordable option. From our partner store: BabyShowerStuff.com, 8-monkey invitation set is $4.99. The matching baby shower favors, supplies, and accessories are amazing; that’s one advantage of ordering this kind of kit. 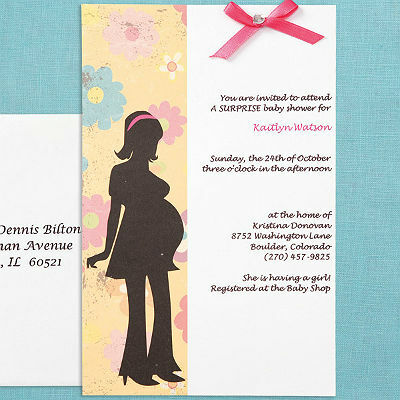 Please use this link if you would like to see more invitation ideas and pricing from, our partner baby shower stores. This is where you can find invitations with matching stationery, and some of the elegant extras! This modern mom kit comes with everything you need, including ribbons, and gems. The blank pages allow you to customize your wording with your home printer. You can also look for, “fill-in” invitations too. The other obvious places: Party America, Party city, Hallmark, JoAnnes, and Celebrate Express. While you’re running your errands, and living your life-here’s a way to combine your shopping and save some time. You can also, shop on line with most of the listed merchants. Tips, Techniques, Templates Download, Step By Step Instructions On Cardmaking.